How did my vehicle lose its alignment? Vehicle alignment is a complicated issue. When speaking about vehicle alignment, your service advisor is referring to the position of your tires relative to the vehicle’s body. This includes their position fore and aft, as well as the angle at which the tires sit relative to the vehicle’s body on all four axes. There are a lot of parts in your suspension system that can affect your alignment. While driving a vehicle in need of alignment can be annoying, more importantly it can affect the performance, longevity, and safety of your tires and vehicle. 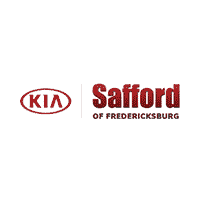 At our Kia repair center serving Richmond, we can take care of this for you with expert precision. Alignment measurements are taken in tenths and hundredths of degrees, so it does not take much to knock your alignment out. There are many ways that this can happen, and we think that you’ll be familiar with most of them. What is actually done during an alignment? Once the technician pulls your car into the shop, they will do a visual and physical inspection of your tires and all suspension components to check that everything is in proper working condition. If a tire, bushing, or other suspension part needs replacement, it is best to replace it before the alignment is performed. Once the inspection has taken place, the technician will place the vehicle on a specialized machine that places a specific laser and mirror system on each wheel. That system will translate precise measurements to a computer, letting the technician know your current camber, toe, and caster. The computer will also indicate where the adjustments need to be and how much adjustment is needed. Each vehicle has its own set of recommended camber, toe, and caster settings, so it is important to set up an appointment with us to make sure you’ve taken your vehicle to a reputable service station with a good alignment machine.